As someone who has always been a total bookworm, and who has always loved having my “head in the clouds”, it’s probably no wonder that my debut book is all about creativity. Since I was tiny I have loved stories and the power they provide – I still, to this day, regularly get completely caught up in my own head, plus in books, TV shows, movies, musicals, theatre and so on. For a while, I felt a bit ashamed about this, like it was silly of me, or that I should be spending my time more “sensibly”, doing practical things. However, the older I’ve gotten, the more I’ve realised that having a vivid imagination is a gift, and should be treated as such. When I was in an abusive relationship at one point, I remember seeing a counsellor who told me that, on the bad days (and these were certainly more prevalent than the good) I should give myself permission to do whatever I needed to do to survive. It’s funny how you have formative moments in life that shape everything; I vividly remember that conversation, and the positive impact it had on my life. Once I started to give myself permission to escape my situation, mentally, at times when I needed it most, I was better able to cope, and felt more like myself. Escaping into other worlds reminded me of what other possibilities there were in life, besides what I was living; and helped to ignite hope, and remind me of the strength tucked away inside me, where no one else could get at it. This set off a chain reaction. It led to me being kinder to myself, and to me eventually reading more and learning more, and discovering that I was, unbelievably, experiencing domestic violence. I know it sounds crazy to people who haven’t been in this kind of situation, but it truly took years for me to realise I was being abused. I discovered this from reading, and it totally changed everything for me. It took time, and plenty of ups and downs, but books, and stories on the screen, and other words and ideas helped me to grow stronger bit by bit. There were other tools and support I used, but my imagination and that of others was a big component. Eventually I was able to extricate myself from the abusive relationship, and I honestly believe the power of creativity saved my life. Eventually, I realised I felt ready, and determined, to make my author dreams come true, and set about learning about and reading kidlit. One of the first ideas I ever wrote down was something that became my debut book, Cloud Conductor. 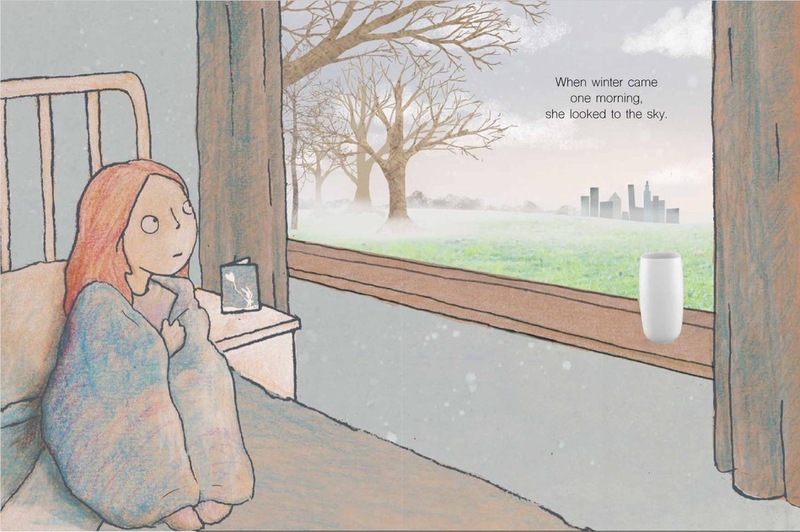 The picture book is about a little girl who uses her imagination to deal with illness. I remember thinking about how tough it must be for kids who are confined to bed when they’re sick, and how their creativity would be one of their most effective tools. This was something I understood, and thought really wasn’t discussed enough with children. Letting my mind wander – something I’m certainly now never ashamed to do – I envisaged a child looking up at the clouds to escape illness. The name ‘Cloud Conductor’ popped into my head, and things went from there. Today, I’m so thrilled that the story has been published (it was released by Wombat Books, and beautifully illustrated by Ann-Marie Finn); hopefully it will motivate children, and adults, to spend more time daydreaming. Creativity is a key mental-health tool, and there are many studies which show it also boosts our immune systems, improves focus and concentration, increases empathy, and has many other wonderful benefits. Children’s books are, in themselves, wonderful examples of the use of the imagination, and inspire children every day to dream big. I am excited to see Cloud Conductor out in the world now too, and can only hope it inspires children to never lose touch with their creative side, and to remember how much power they have inside themselves to deal with any challenges they face. Cloudy with a Chance of WINNING Cloud Conductor! 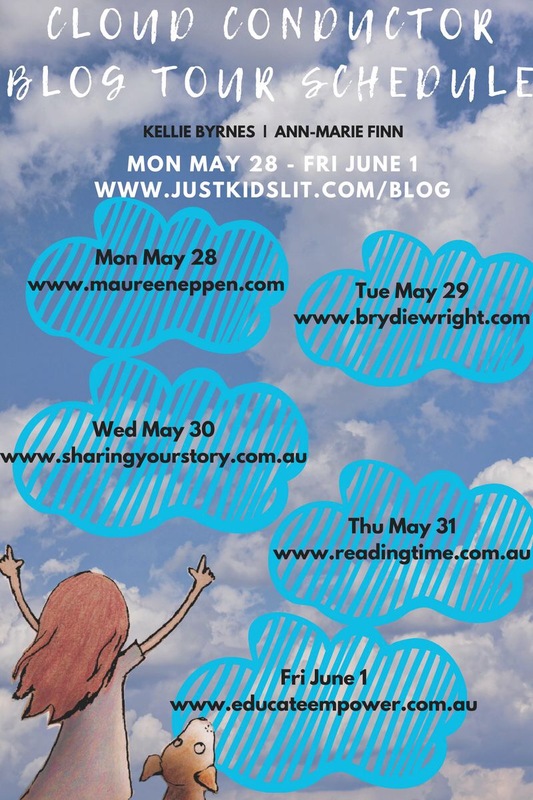 WIN a hardback copy of Cloud Conductor by Kellie Byrnes and Ann-Marie Finn! Answer, what do you see in the clouds?